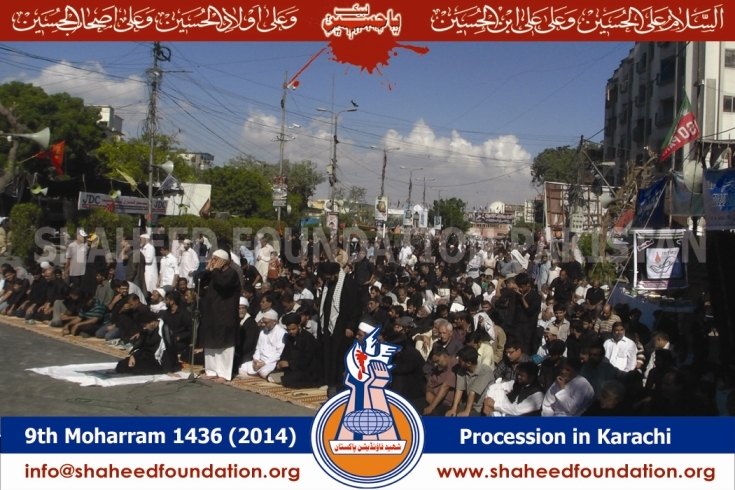 In Karachi, main congregation was held at Nishtar Park where Allama Talib Jauhri addressed a mourning congregation (Majlis-e-aza). 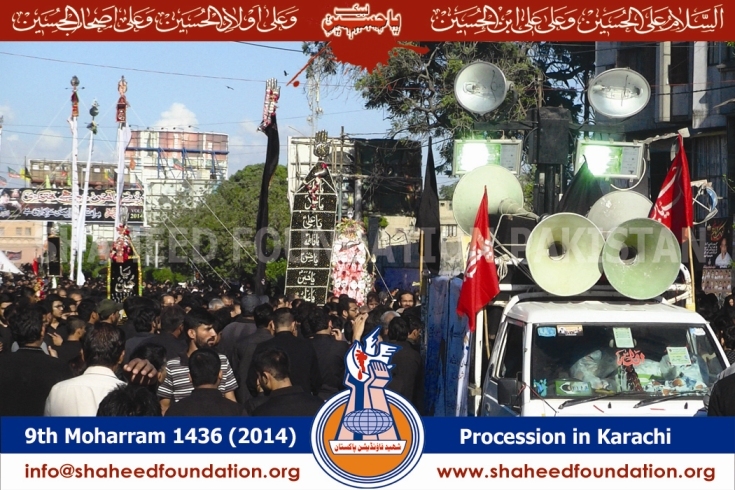 Soon after the Majlis, the mourning procession was brought out. 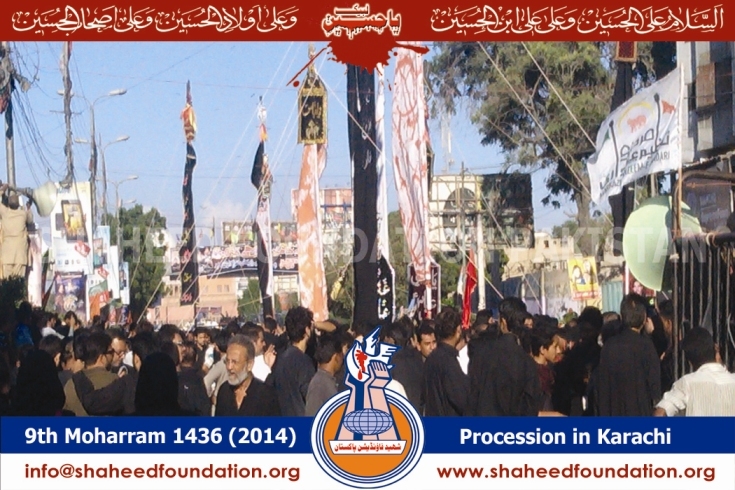 The procession continued throughout the day. 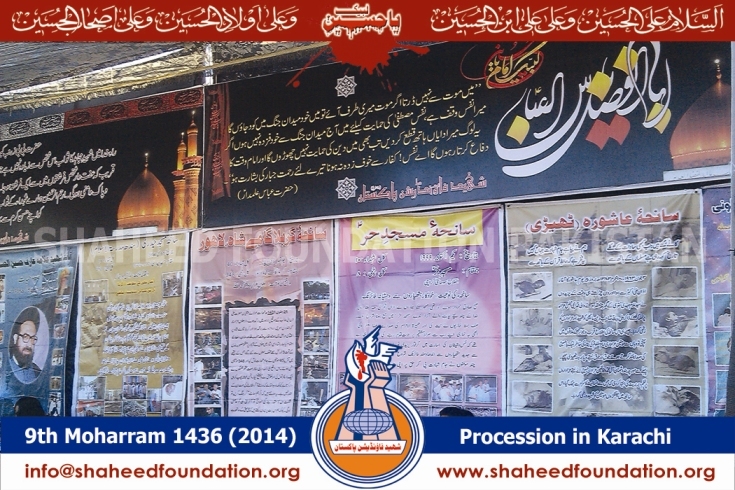 First, Shiites gathered at Mehfil-e-Shah-e-Khorasan, Numaish Chowrangi and from there they marched to Hussainia Iranian Kharadar via M.A. 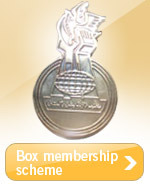 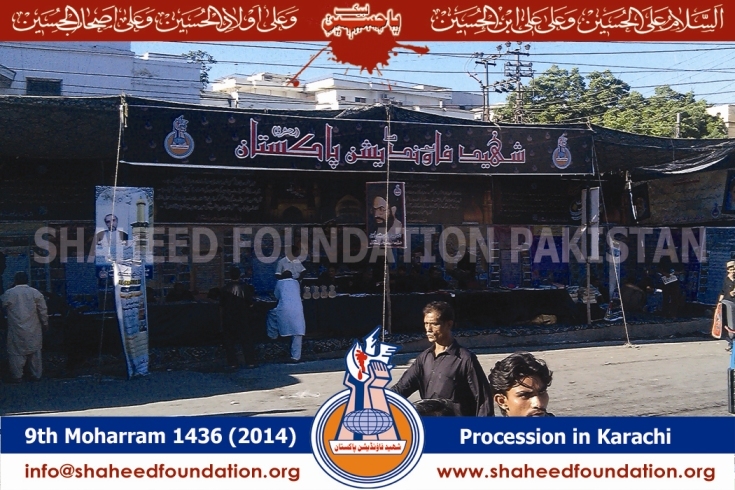 Jinnah Road, Sadar, Tibet Centre, KMC and Denso Hall. 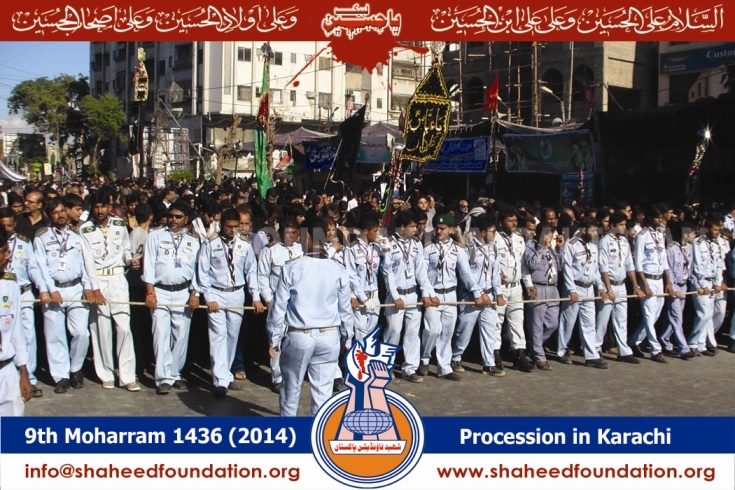 Noha Khwan recited nohas. 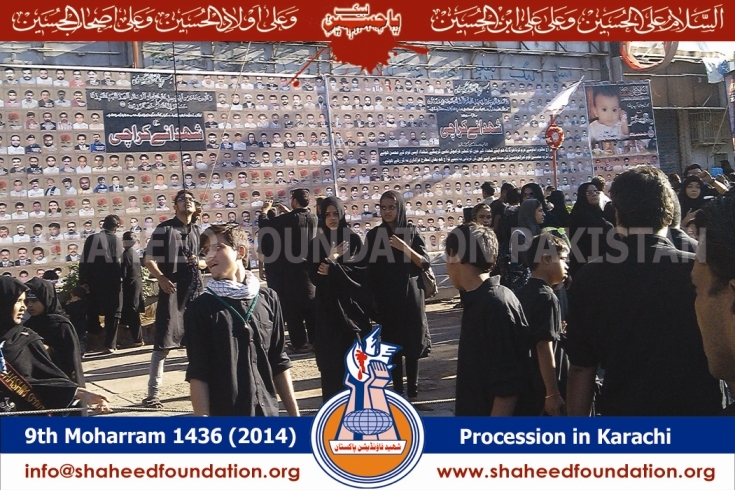 Azadars (mourners) massively participated in Youm-e-Tasua procession. 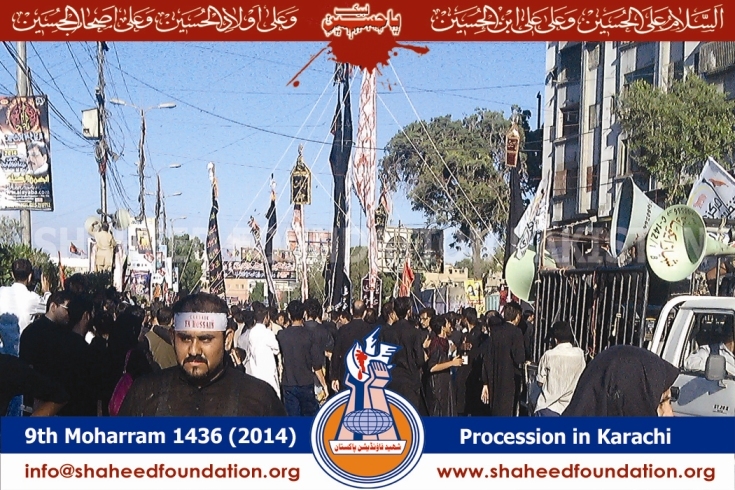 They cried, wept and beat their chest to observe matam to mourn the brutalities inflicted on Imam Hussain (AS) and his companions in Karbala. 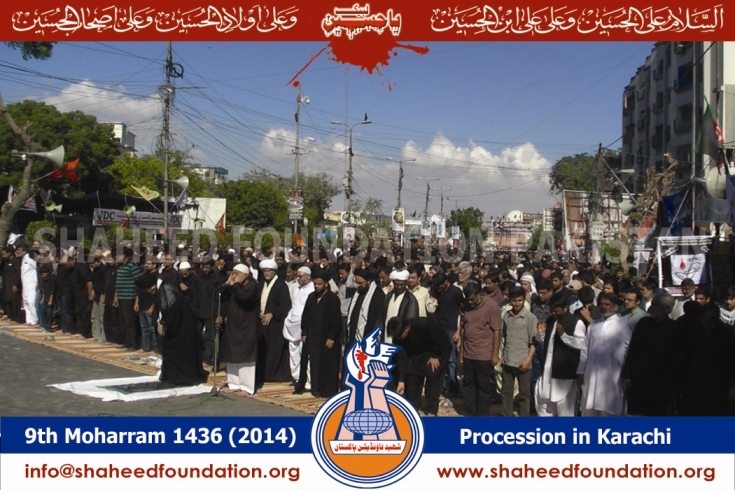 They also offered namaz-e-zohr and asr during procession. 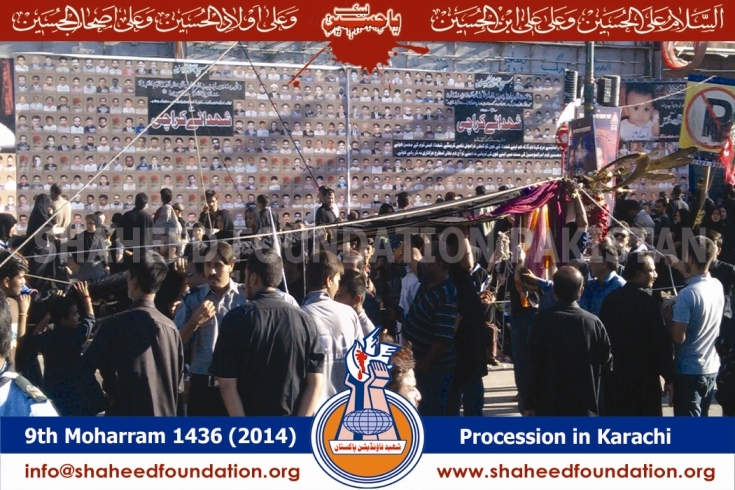 The shabeeh of coffins, cradles, alam and other tabarukkat were also seen at the procession. 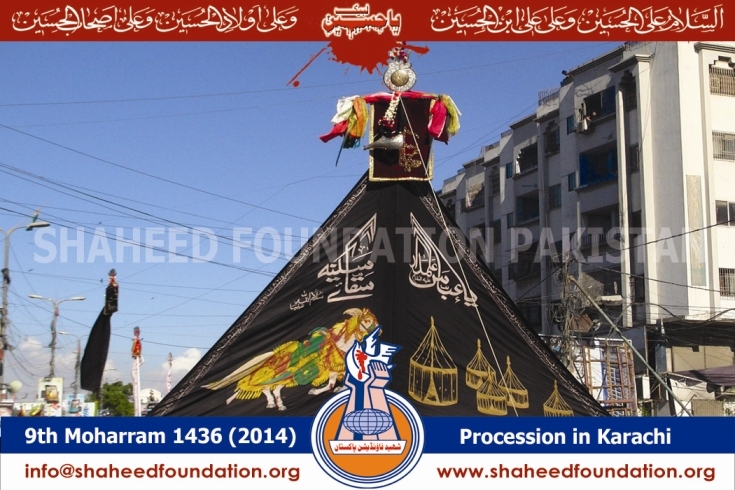 Similar procession held in Lahore, Peshawar, Quetta, Gilgit, Skardu, Hyderabad and almost all small and big cities of Pakistan. 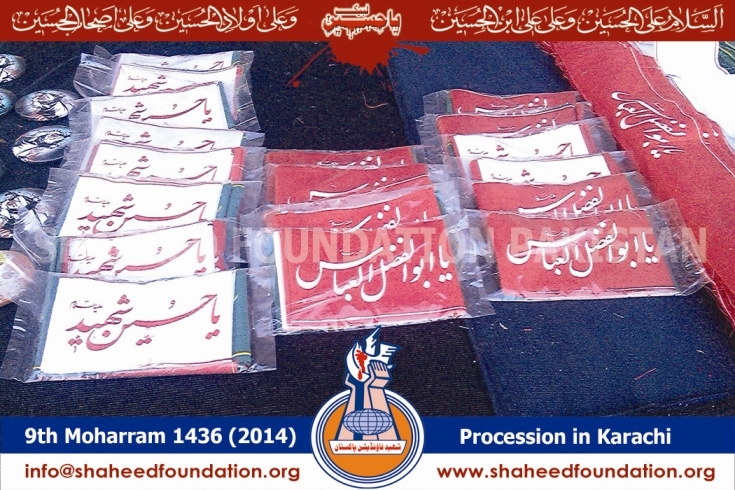 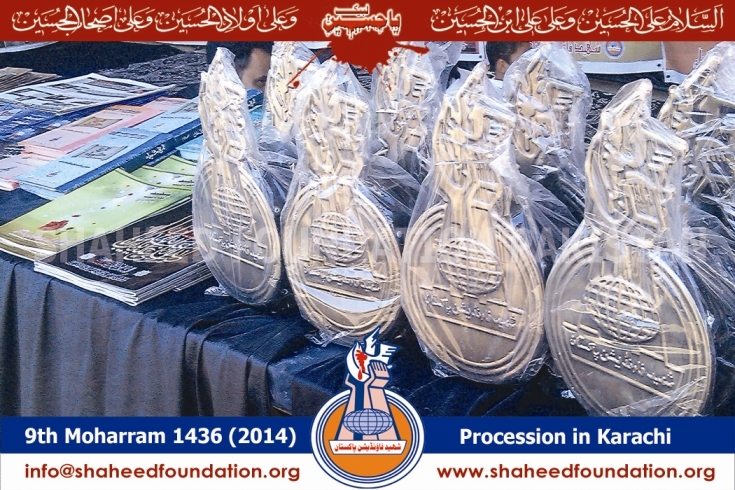 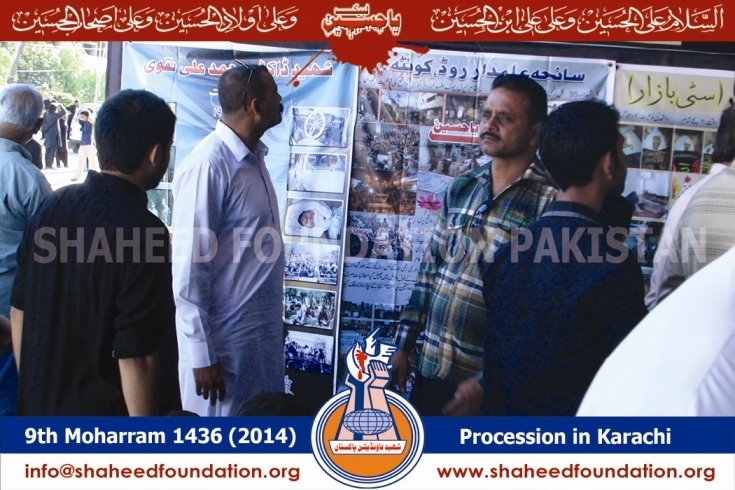 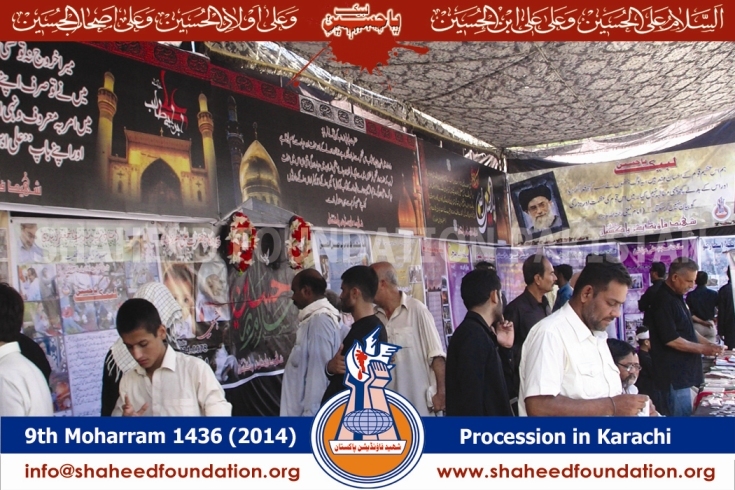 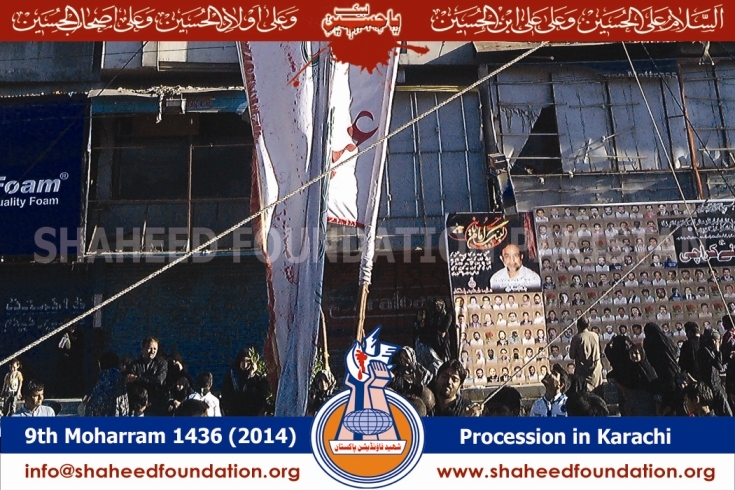 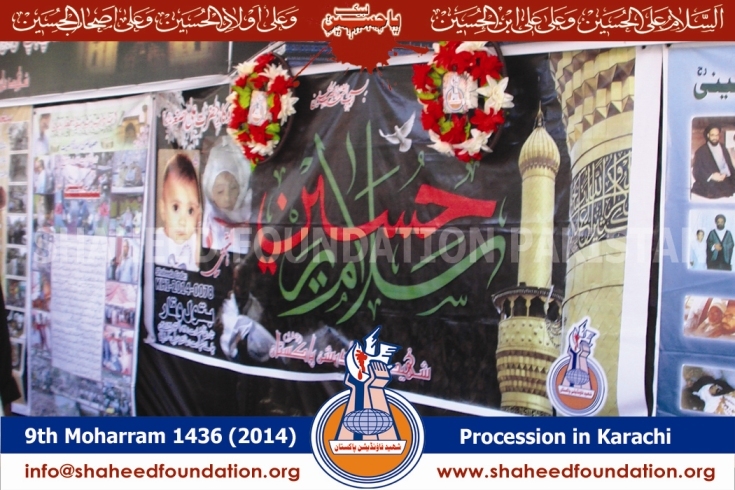 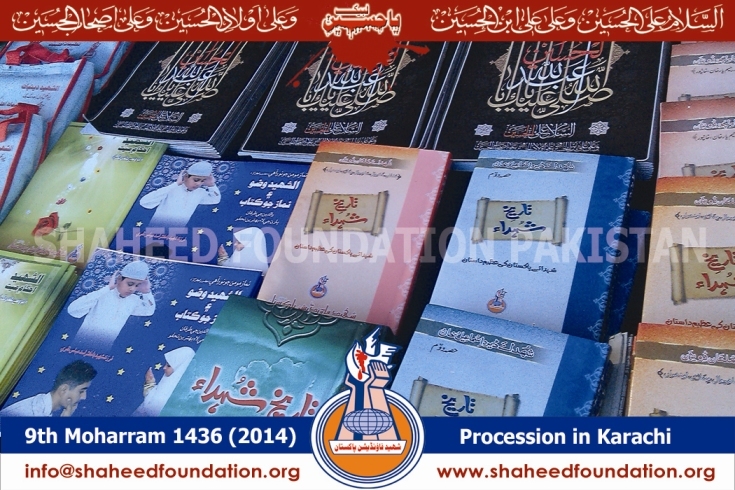 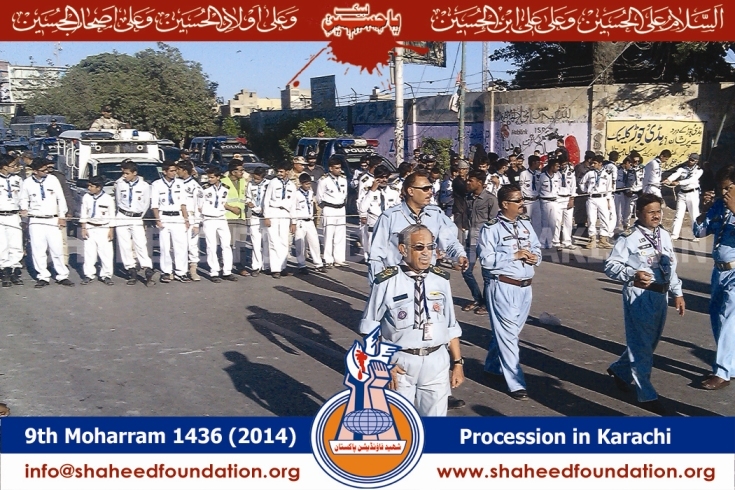 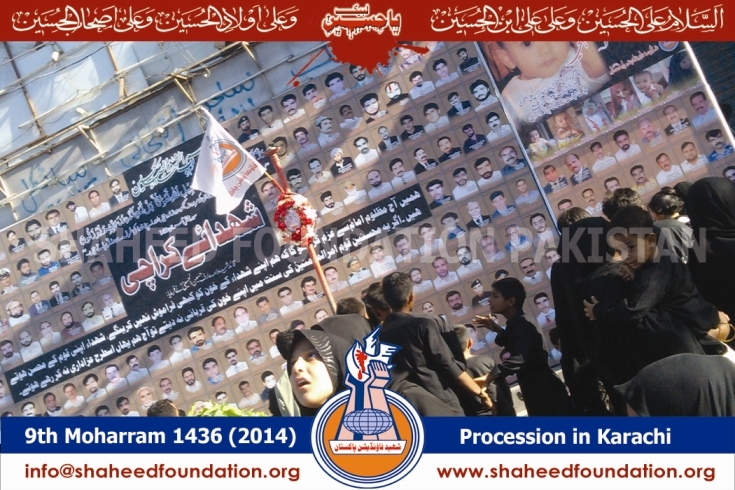 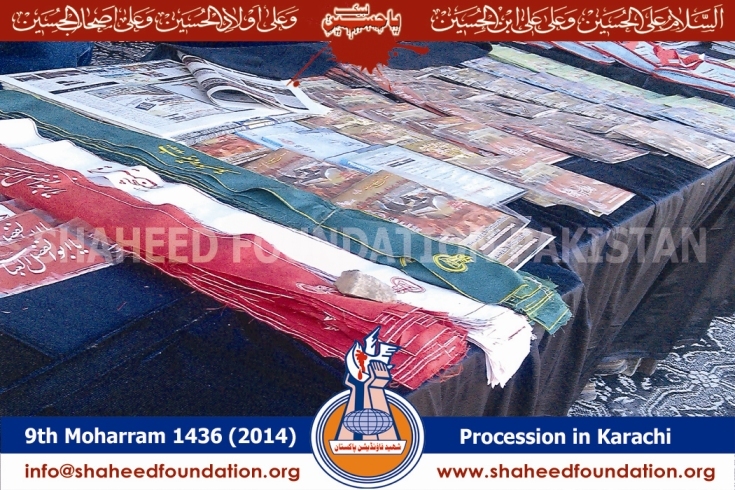 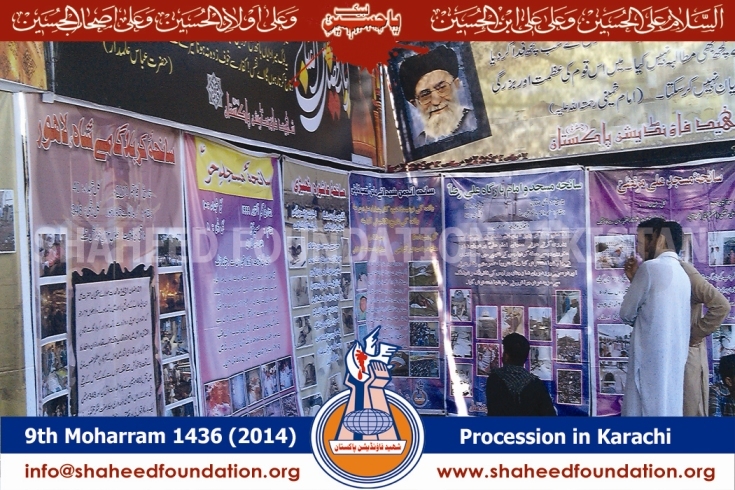 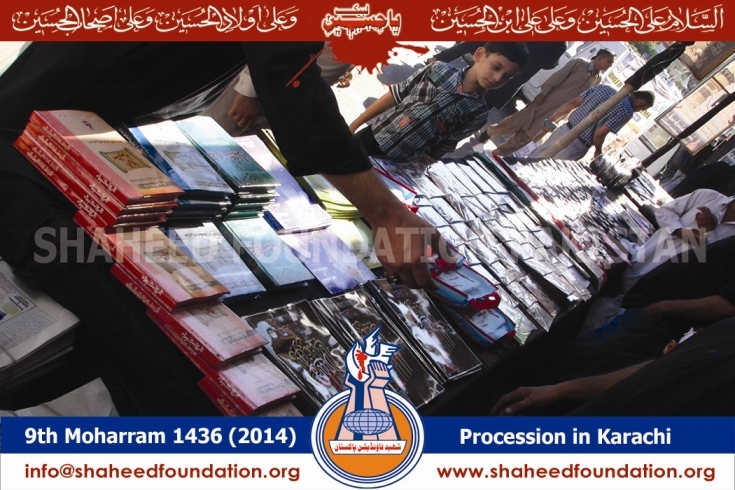 Like previous years Shaheed Foundation Pakistan arranged stall in the procession. 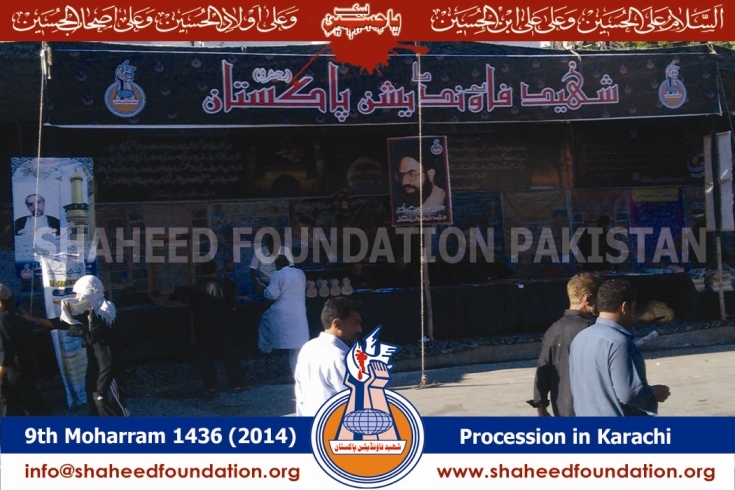 Also arrange picture gallery of Shohada of Pakistan.